Telecom operator Dom.ru and the English Club TV channel are inviting English language fans to participate in a special contest. Ten winners will receive certificates to attend three-month individual classes at the online English school Enline. Any client of Dom.ru can take part in the contest, which will be held from 13 to 26 November 2017. All you have to do is fill out an application at domru.ru/english-club and answer the test questions correctly. Ten winners will be chosen at random. The results of the contest will be published on 28 November. English Club TV is a channel for those who are learning English. With the help of modern television technology and creative ideas, the channel turns the study of language into an exciting activity. English Club TV programmes target different audiences: children, students, adults and even language experts. The programmes are divided into three levels of language proficiency. And unlike stereotypically boring grammar lessons, they feature entertaining and informative stories designed to build an immersive language environment. If you watch the channel for only 15 minutes a day, you can enrich your vocabulary with 2,000 new words and 100 grammatical constructions in a year. English Club TV is available in the packages ”Мне нравится L” and ”Мне нравится XXL” of the digital Dom.ru TV. 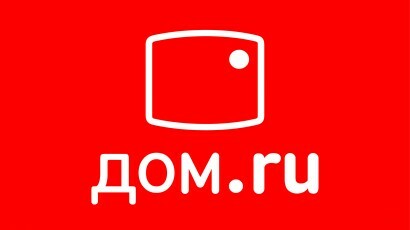 Users of Dom.ru TV can watch 213 TV channels, 36 of which are educational. To read all the rules of the contest, visit domru.ru. JSC ER-Telecom Holding is one of the leading telecom services providers in Russia, which has been operating since 2001. Services for private users are provided under the brand “Dom.ru”, for corporate clients – under the brand “Dom.ru Business”. Provided services: Broadband access to the Internet, digital TV, telephone services, as well as video surveillance and Wi-Fi (for corporate clients). All services are provided on the basis of its own telecommunication networks, which were built from scratch up to a common standard, using the Fiber To The Building (FTTB) technology. According to its own estimates, the company accounts for 11% of the Russian broadband market and 12% of the paid TV market in Russia. In terms of the number of customers served, it ranks second among the internet providers and cable TV operators in Russia. Laureate of many national prizes, including the awards “Bolshaya Tsifra” and “TechUspech” (2016).